Well, this little poppet is as a pretty as a picture, and has every reason to smile her beautiful smile. 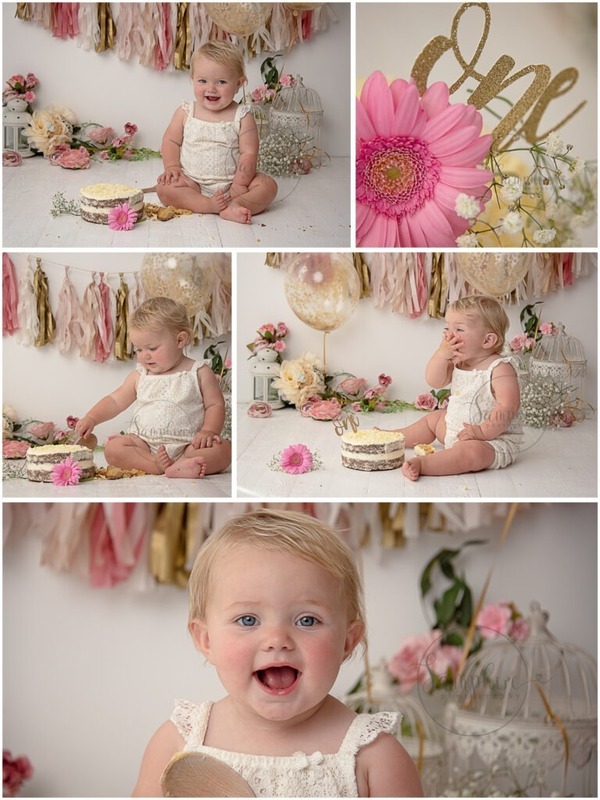 Turning one, and having a pink floral Cake Smash to celebrate, hey! I think I’d be smiling too. Add in a touch of gold, some confetti balloons and a delicious ‘naked’ cake by my amazing local baker Mrs B Bakes, what is not to love? 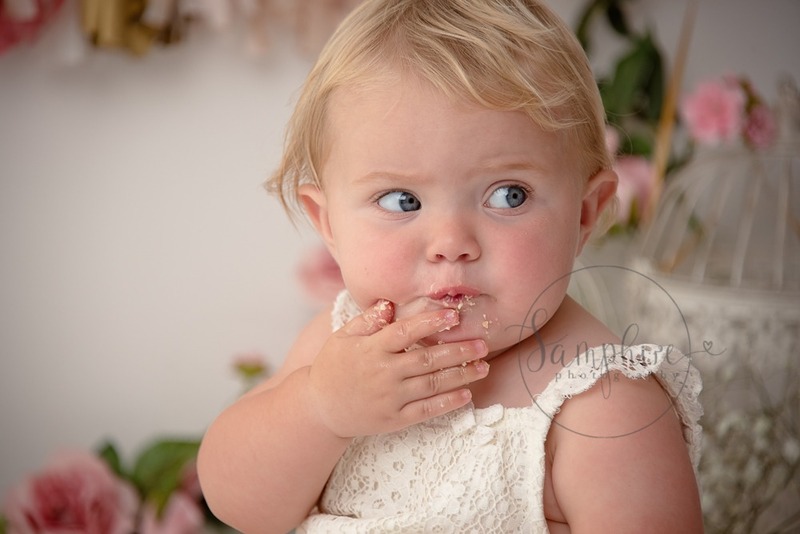 Mum had chosen the perfect colour scheme to suit her gorgeous girl, and with lots of fun and laughter we captured some truly charming images from the day, which I’m sure will be treasured. Not all children are, but Matilda was happy to get ‘hands on’ with her cake. For this reason I always end my Cake Smash sessions with a splash in the bubble bath for the little one, just to clean up after all the cakey mess and sticky fingers. However, Matilda wasn’t too keen on the bath, so we changed our plan. I can’t have that beautiful smile disappearing now, can I? Pink Floral Cake Smash West Sussex. 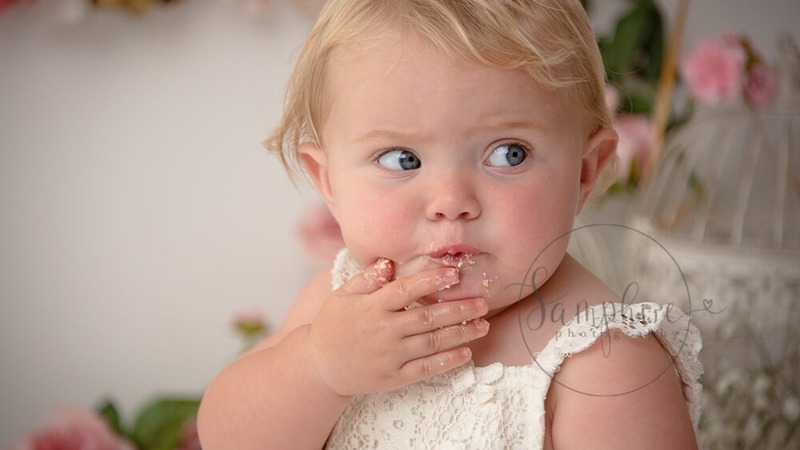 If you are interested in booking a Cake Smash studio session with Samphire Photography, please email me on info@samphirephotography.co.uk or call me on 07989 594236 to discuss.